Today, the French brand ARCHOS is revealing its new ARCHOS PC Stick that packs the power of a personal computer in a compact HDMI-connected drive. “The world is always competing to build the smallest computer, and ARCHOS now offers one small enough to fit in a pocket at less than £79 explains Loic Poirier, CEO of ARCHOS. By plugging in the ARCHOS PC Stick to any screen with HDMI-in, such as a television, users will have a full computer at their fingertips in a split second. Keyboards, mouse’s, and other accessories are also connectable to the PC Stick directly via Bluetooth or USB port in order to interact with the content of the device. 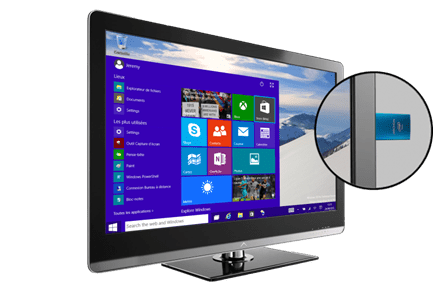 Keyboard applications or game controls on Windows, Android, or iOS smartphones and tablets are also connectable, transforming any smartphone or tablet into a keyboard compatible with the ARCHOS PC Stick. The ARCHOS PC Stick runs Windows 10, the latest Windows technology, right out of the box. Microsoft Office applications are already pre-installed on the ARCHOS PC Stick including Word Mobile, Excel Mobile, and PowerPoint Mobile. Users will also enjoy Cortana, the Windows personal assistant, as well as the full Windows 10 Store for access to applications that can customize and enhance the device. For the first time in Windows history, multiple desktops are also supported. 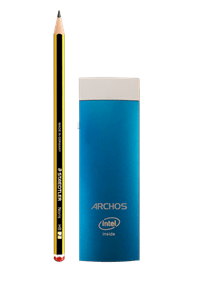 The ARCHOS PC Stick features an Intel Quad-Core processor and Intel HD Graphics, 2GB of RAM, 32 GB of storage, and a micro-SD card slot for additional storage if needed.